Mezzanine Dreams : Double Decker Tents! Locked into a tight space to set up your event tenting? Why not go vertical! Two story tents are popping up (literally!) 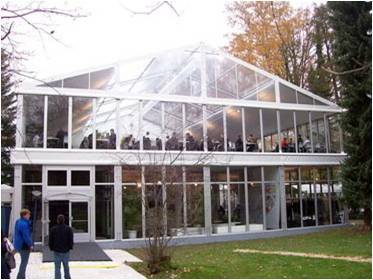 in magazines and blogs as a unique alternative to the standard pole tent or clearspan structure. Imagine being able to create an exclusive level for VIPs, a raised vantage point for the media or an unobstructed view of the lower floor for guests! The double-decker system is modular by design and can be installed in a variety of configurations, shapes and sizes. The footprint of the upper lever could mirror the lower level or a smaller structure could be constructed on the upper level in order to create a viewing balcony area. 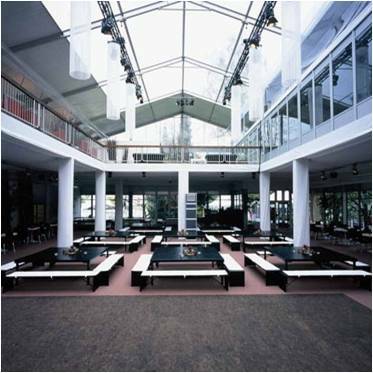 In addition, modules can be eliminated on the ground floor to create open galleried areas. And don’t forget the ability to create exterior decks! 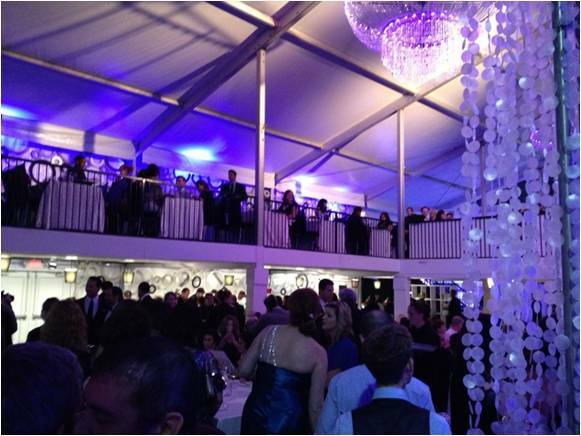 Perfect for golf events, galas or product launches, double decker tents deliver wow factor!